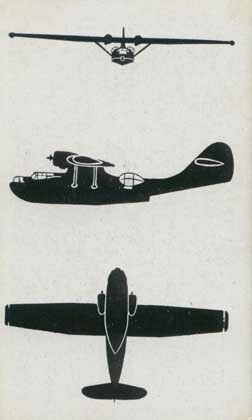 This is an American aircraft spotter card for a Catalina. 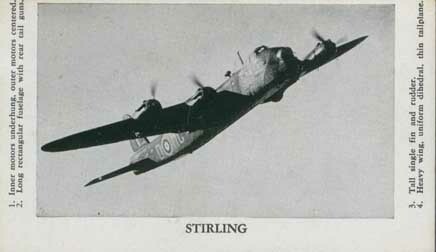 It contains the plane name and a few of it's characteristics on the front, along with a photograph. 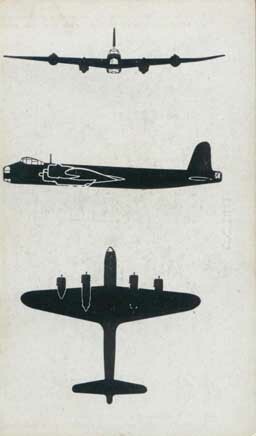 The reverse of the card contains the silioutte of the aircraft from various angles. 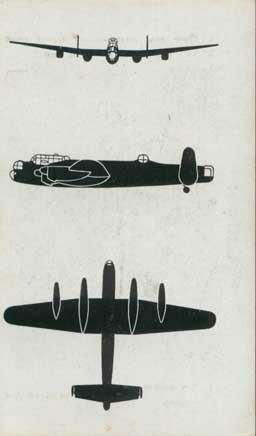 The card is in used condition, but has no creases. 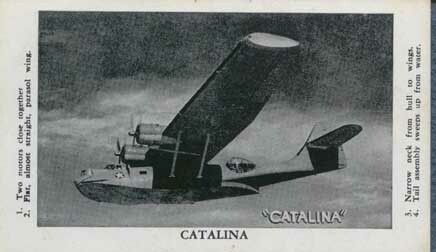 The actual size of the card is approximately 4 3/4 by 2 3/4 inches.